Advanced direct injection system - Excellent cooking results thanks to highly saturated fresh steam. 1-point temperature core probe ensures precise temperature control over prepared food and limits the risk of under- or overcooking. USE: When you often cook a food which needs to reach precise internal temperature, e.g. all types of steaks, big pieces of meat with or without bone. This optional equipment is a great help when you need to use fresh water while cooking in the combi oven. The shower uses untreated water and only works when the door is open. USE: The shower is useful for quickly rinsing the cooking chamber, adding fresh water into gastro containers while placed inside the oven, for moistening the cooking chamber or basting meat or rice. USE: If you want to make the cooking process even easier, faster and more efficient. 5-speed fan - The option to set five different speeds of the fan will ensure perfect results even with the most difficult cooking processes. 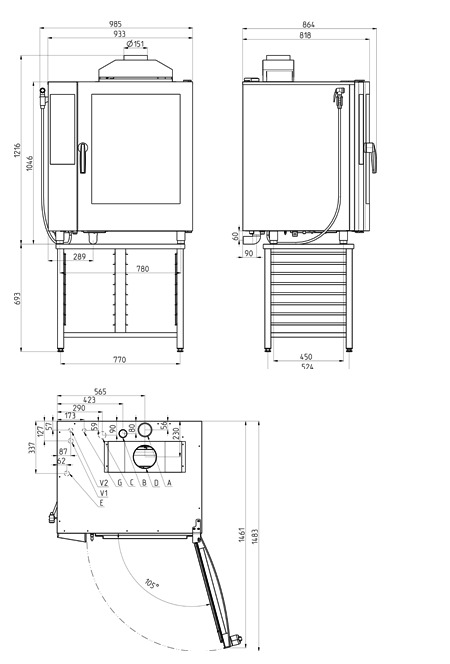 The auto reverse system will ensure an evenly divided distribution of heat throughout the cooking chamber. USE: Fan speeding is excellent when baking pastries, cooking over night and in situations where you need to be very gentle with the air distribution in the cooking chamber. Fan stop function - An immediate shut off of the fan when the door opens significantly reduces the escape of heat and steam from the cooking chamber. USE: The fan stop function isused automatically when you open the door. USE: When e.g. 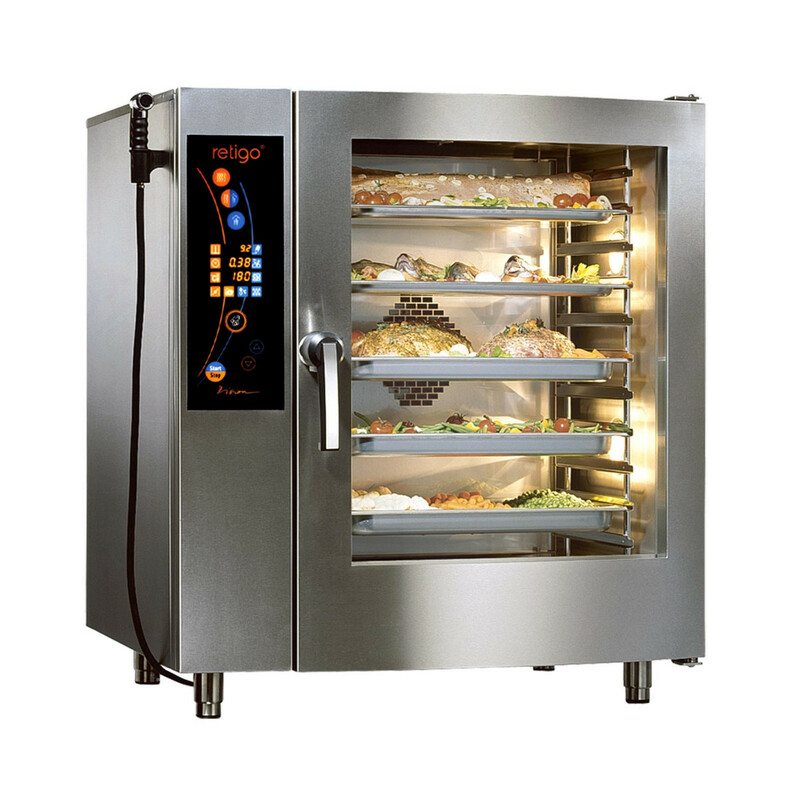 baking, frying, grilling or gratinating without the need for moisture in the cooking chamber. When you use a program with more than one step and the previous step, before using hot air mode, is steaming or the combination mode.